Just as I had resigned myself to the approach of cold weather by deciding to savor and store up some of summer’s gifts, late fall has brought its own unexpected delights. Although many people where I live claim autumn as their favorite season because of the rich colors of leaves before they fall from the trees, the crispne ss of the air, and seasonal traditions like pumpkin-carving, it was not these that captured my attention as October unfolded. Rather, it was a mini-resurgence of summer that displayed itself in a Monarch Butterfly feasting on the clover in our field, an Eastern Phoebe and other migrants stopping by on the way South, and the garden popping with scattered patches of color. Even in late October, I found a few stray Black-eyed Susans, Purple Coneflowers, and Phlox in bloom. Elsewhere, tall spikes of annual Salvia had reseeded themselves from last year’s plantings, taking over where the Daylilies had finished their show. My response to all this has been a surge of gratitude for these unanticipated gifts, the delight of discovering them, the pure joy they have brought, the brief delay in the onset of winter they represent, and for a few more glimpses of beauty to recall as shortened days and lengthened nights descend upon us. Amid this has come another unexpected October delight – the arrival at my door of the book One Thousand Gifts by Ann Voskamp. I had read a library copy of this book several years ago and when it appeared again as a birthday gift from my goddaughter, I instantly knew the timing was perfect. Of course, I could have said, “Oh no, I’ve read this already.” But I would have missed the delight – and gratitude – that came from realizing I loved the idea of having my own copy and that it might just be time to shore up my “attitude of gratitude” by re-reading it. Plus, there was a bonus: The book was accompanied by the One Thousand Gifts Devotional, Voskamp’s companion book of reflections. A writer friend first introduced me to One Thousand Gifts, which describes how Voskamp forged a “lifestyle of radical gratitude” out of the pain of her family’s loss. Having read and reviewed the book, she suggested our book group read it. Even before we began reading, one of our members had prepared the ground by telling us how she was praying in a new way – by naming 50 and then 100 things for which she was grateful each day. Voskamp’s approach was similar in that she decided to accept a friend’s challenge to create a list of “one thousand gifts.” The list became an antidote to the sorrow that encumbered her and had cast a pall over her family after her little sister was killed in an accident. Ultimately, she discovered that being thankful changed her. The act of naming what she calls “grace moments,” Voskamp writes, took her beyond the “shopping list variety of prayer” and into the love that was shown her by the Giver of all gifts. In “eucharisteo,” Greek for thanksgiving, she began to be fed and filled and sustained. So in the midst of this October of unexpected delights, I am looking toward winter knowing I have a good start on stocking up on the same kind of “food.” Just like the little chipmunk I captured with my camera a few days ago stuffing his cheeks in preparation for the season of cold and snow, I’m on the look-out for other staples to add to my winter pantry: bits of beauty, joys sprinkled among the sadness of our world, signs of hope, and gratitude for it all. Response to this glut of information and imagery seems to take two forms: We can’t get enough or we can’t take it. Some love being continually connected to TV news or the Internet, often to the distress of those who live with them. Others take the opposite view, receiving only a minimum of news, if any, and staying focused on the immediacy of their own lives, either because they have enough bad stuff to deal with on a personal level, or because they want nothing to interfere with their state of blissful oblivion. Given my own appetite for news and tendency to vacillate between extremes, I’d like to propose a middle ground in hopes of encouraging people to be aware of what’s going on while still maintaining some semblance of peace. After all, it’s true that we can handle only so much, but we also have a responsibility to know what is happening in our world and to respond as we are able. To stay informed without losing our peace of mind, it’s good to be aware of how news is packaged today and why even a steady diet of it is not only unsettling, but doesn’t necessarily guarantee an accurate or complete view of what’s going on in the world. 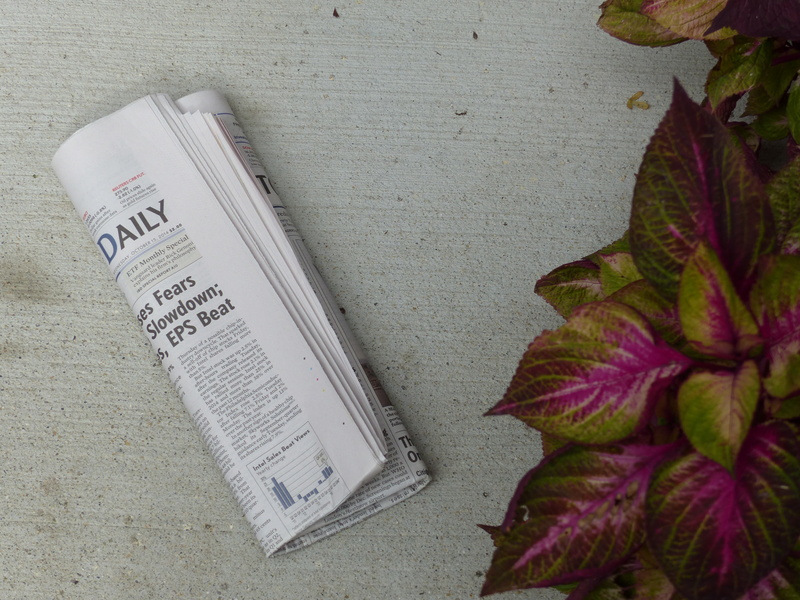 First, news is not only omnipresent, but highly visual and presented in a way that bombards us with images, trivia, and sound that often take precedence over substantive content. Before you turn on the TV or look at your computer, remember that you are about to enter a highly stimulating zone in which a discordant multitude of rapidly moving pictures and noise will be competing for your attention. On TV, images will be jousting with voices, music, and the news crawl at the bottom of the screen. On the web, advertisements will pop up in the middle of news stories, forcing you to decide whether you want to shoe shop, keep reading about the Ebola crisis, check out the links in the text, or go to a related story. All this is hardly calming. News is also coming to us from sources other than news organizations as Twitter, Facebook, and email have become vehicles for sharing news and rumors of the latest political scandal, environmental threat, or constitutional crisis. Most of us could spend hours reading what comes from these alternative sources, especially if we belong to interest groups and have friends who post stories on social media or send them to their email contacts. So before jumping into the roiling sea of news and information, we need to brace ourselves and think about why we’re going in. Is it stimulation we seek or do we know where we’re going and what we hope to find? Ask yourself what you really need to know about the place you live and the issues and people you care about and where you can best get that information. Find a few sources you trust and stick to those. If you lean toward a particular point of view, add a source representing the opposition to your mix, for the sake of balance, keeping in mind that no presentation of news is going to be completely objective. Then, consider before clicking if what you are about to read or view is something you’ve defined as a priority in your life or if you’re about to waste your time on gossip or frivolity. When something big is happening, many of us have a tendency to watch and read nonstop. At some point, though, as my friend said, we are hearing little that is new and only recycled opinion and fact. That’s the time to take a break. As for when to consume news, each person has to find his or her own schedule and establish some limits. At our house, we watch a local TV newscast in the morning long enough to get the weather, knowing that the news content is likely to be short and shallow on substance and long and deep on anchor chatter and the latest from the sports and entertainment worlds. Apart from one cable TV news show we watch weekly, we have pretty much abandoned all but occasional TV news programming and instead read news sites online along with two national newspapers that come to our house. We also try to leave the Internet at least two hours before bedtime.